Ken and Sherri Nahan operated the Nahan Art galleries in New York City, New Orleans, and Tokyo for many years, exhibiting, publishing, and selling works by a international stable of contemporary artists. They remain active in the art world, as agents and publishers and providing consultation and curatorial services. 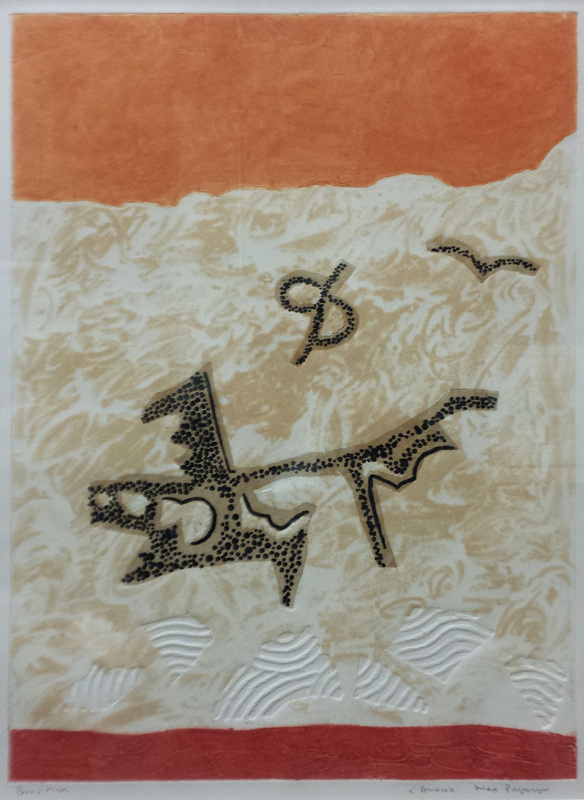 The prints in the Nahan collection represent the high state of achievement in French fine art printing in the 1970s and 1980s, and includes works on handmade paper by four master printmakers: Max Papart, James Coignard, Theo Tobiasse, and Nissan Engel. Established in 1708, the Nantucket Monthly Meeting of the Society of Friends has had a distinctive history marked by the separations that troubled Quakerism in the nineteenth century. In 1830, Nantucket became one of the few monthly meetings in New England to divide along Hicksite and Orthodox lines, and as that separation was healing in 1845, the Wilburite and Gurneyite factions separated. 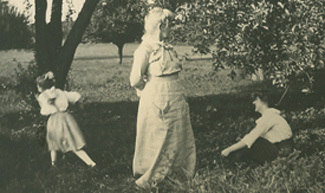 Uniquely, the Wilburites split further in 1863, when the “Primitive” or “Otisite” Friends departed. Quaker worship was effectively absent on Nantucket from 1894 to about 1939. This fraction of the records of the Nantucket Monthly Meeting of Friends documents the history of the meeting up to and through the Wilburite-Gurneyite schism. With the exception of some loose materials from the Women’s Meeting from 1776-1781, the collection contains little from the first several decades of the meeting (these are housed at the Nantucket Historical Association), but there is rich content on the state of the meeting and the conflict that followed the separation of 1845, along with minutes from the decade leading up the Wilburite-Gurneyite reunion in 1944. Having already separated between Hicksite and Orthodox factions in 1830, Friends on Nantucket separated again in 1845 between Gurneyites and Wilburites. While Gurneyites were the “larger body” in nearly every other meeting in the region, on Nantucket they were the minority. Drawing some of their members from the Hicksites, who were disbanding at the time, the Gurneyite monthly was under the care of Sandwich Quarterly Meeting. Never great number, the meeting was laid down in 1867, although a worship group under care of New Bedford Monthly Meeting continued to 1897. This relatively small collection offers relatively complete documentation for a short-lived Gurneyite Friends meeting, including nearly complete runs of minutes (including rough minutes) for both the men’s and women’s meetings and records of meeting finances. In the complex history of Quakerism on Nantucket, the Wilburite Nantucket Monthly Meeting of Friends stands out. Separating from the numerically smaller Gurneyites in 1845, the “Otisite” monthly on Nantucket separated again in 1863, drawing away from the Wilburite Sandwich Quarterly Meeting, drawing with them a number of sympathetic Friends on the mainland, particularly in Warwick, R.I. Although worship on the island effectively ended in 1894, the mainland Otisites maintained their separation until 1911. Quaker worship on Nantucket was revived in 1939 and with the reunion of Wilburites and Gurneyites in 1944, the monthly meeting decided to remain independent, joining New England Yearly Meeting only in 1956. This small, but important collection is centered on the latter years of the Wilburite meeting on Nantucket, during the period of reunification with Gurneyites. The bulk of records for the Nantucket Monthly Meeting (Wilburite) are housed at the Nantucket Historical Association. A freelance researcher and writer from Hawaii, Nanette Napoleon founded The Cemetery Research Project in 1985 to document graveyards and burials on the island of O‘ahu. She has subsequently completed inventories for the islands of Maui and Moloka‘i, documenting over 300 graveyards and more than 30,000 tombstone inscriptions. The Napoleon collections consists of an array of articles on cemeteries and the culture of death from popular media assembled by Nanette Napoleon. One folder contains information on the Cemetery Research Project and cemeteries in Hawaii. In 1944, eighteen-year old Herman B. “Keek” Nash enlisted in the Army, and after intensive Japanese language training, was assigned for duty as an intelligence officer in American-occupied Osaka, Japan. Settling in northern New Jersey after his discharge from the service in 1947, Nash held a succession of jobs, including brakeman on the Pennsylvania Railroad, before deciding to try his hand at teaching, earning a master’s degree in education at Columbia Teachers College. A solid leftist politically and a strong supporter of social justice causes and civil rights, he marched with Martin Luther King at Selma and Washington, though his ardor and political convictions came at a cost. 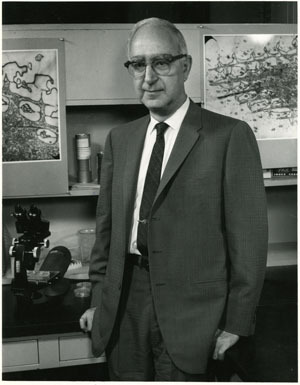 Investigated by the FBI for alleged Communist sympathies in the late 1950s, Nash was fired from his position teaching high school science in Teaneck, N.J., in 1969, after leading a sit-in protest against school tracking. He subsequently returned to work on the railroad, where he was active with the union and took part in efforts to increase participation by African Americans and women. Yoneko Nash, Nash’s wife of 43 years, died in 2004, with Keek following in 2010. A rich assemblage, the papers of Herman Nash offer a glimpse into the life experiences of a socially conscious veteran of the Second World War. Nearly a quarter of the collection stems from Nash’s time in the military service, including while he was learning Japanese at the University of Chicago (1944-1945) and while he was stationed in occupied Japan from spring 1946 through the following winter. Among other noteworthy items are a thick series of intelligence reports on the reaction of the local population to the occupation, noting episodes of civil unrest, crime, and other forms of social instability. The collection also contains a significant body of correspondence with family and friends, including serval whom he met in Japan. 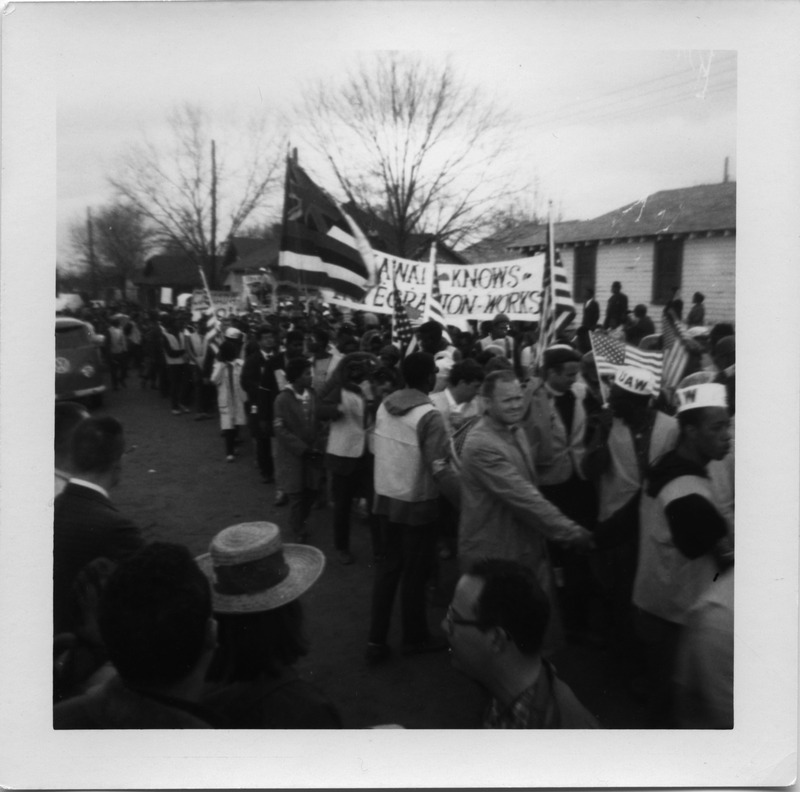 The balance of the collection relates to Nash’s interests in social justice causes, highlighted by a significant series of photographs taken during a massive civil rights demonstration in Montgomery, Ala. Established as the newspaper of organized labor in New England in 1989, the New England Labor News and Commentary was the official newspaper of the Nashua, N.H. Labor Council.